Please click here to download a copy of our Spanish language brochure. Individuals and families stressed by their migration process, family dynamics, violence (present or past) and/or personal circumstances need support and skills. We provide individual, couple and family therapeutic counselling to enable and empower individuals and families in their search for psychosocial health and wellbeing. Some of the issues we have dealt with relate to inter-personal relationships, life in transition, depression, anxiety, loss and grief, the effects of trauma and oppression, intergenerational and parental issues, separation and divorce. Our clients learn skills deemed important to them, including effective communication, problem resolution, stress management, anger management, assertiveness and effective parenting. We assist individuals and families with compelling claims for refugee status throughout the refugee determination process by connecting with and collaborating with lawyers and other professionals, making appropriate referrals, assisting clients in the completion of accurate paperwork, attending hearings and helping clients to confidently communicate their stories. We also provide assistance in navigating the legal procedures for newcomers facing domestic violence / violence against women and newcomers involved with Children’s Aid. Immigrant and refugee families often experience disconnection, anxiety, sadness and stress upon arriving to Canada and during the years that follow. 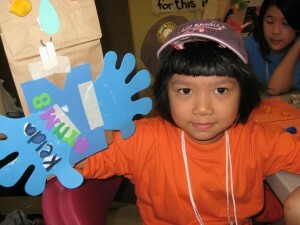 The Summer Family Camp aims to alleviate many of these factors by providing art therapy for moms with their children, play therapy between parents and children, workshops for moms (geared towards topics such as abuse prevention, stress management skills and self-esteem empowerment), games for children and lots of recreation for the whole family. The Summer Family Camps foster enjoyment, hope, family cohesion, improved communication skills and the opportunity to meet others. These workshops – geared towards people who are not yet permanent immigrants and who are often vulnerable to exploitation by immigration consultants – are designed to give accurate and valuable information on immigration processes and procedures by honest and reliable practitioners. The promotion of self-esteem, purpose in life and healing is often accomplished when an individual discovers his/her abilities and is able to use those abilities in giving back to his/her community. The Lighthouse provides training for volunteers who are committed to working with others and benefiting their communities. 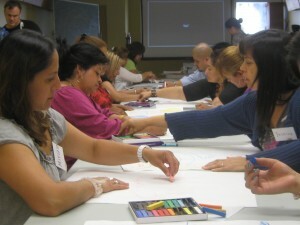 Leadership training focuses on participatory approaches to leadership where students learn teamwork skills, participatory decision making skills, evaluation skills, sensitivity to discrimination (racism, xenophobia, gender discrimination, class discrimination), social/cultural issues relevant to working with the Latino community, skills in programming and other personal leadership qualities. Participants attend 6 full days of classroom training, 5 days of on-the-job training and one full day for evaluation. Participants who successfully complete the program receive a certificate. Everyone is potentially a leader in his or her community and can contribute to community development and healing. 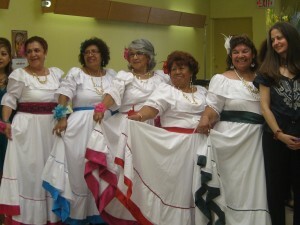 Every couple of weeks, a group of Latin-American women (of all ages) meet at our facility to perform various crafts (knitting, painting, etc.) together. Participants exercise creativity while they share life experiences, talk about different issues important to them, share their concerns in a non-judgemental way and support each other. 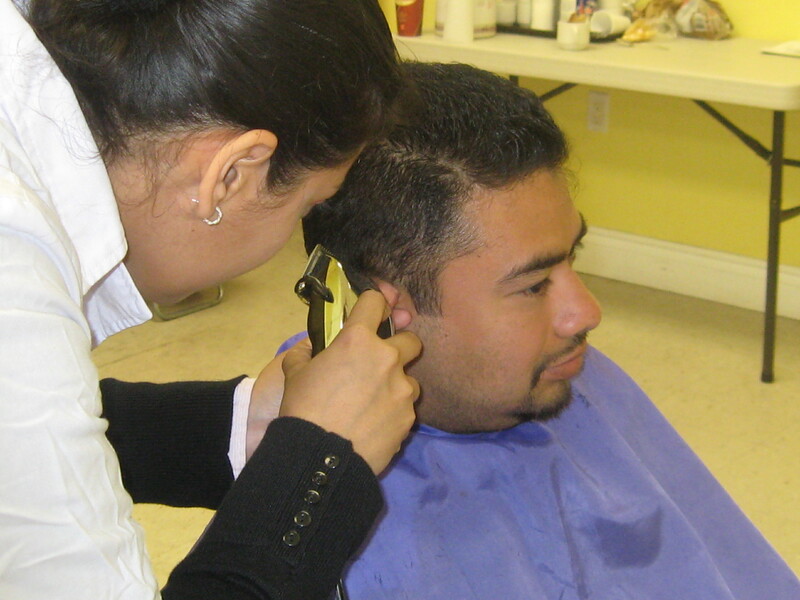 Over the course of several weeks, participants are trained in cutting hair, a marketable skill that can facilitate financial independence or assist in financially supporting their households. Participants, usually low-income women who are immigrants, refugees and other newcomers, also experience community and friendship, and have the opportunity to learn about supports and resources. This course teaches participants a marketable skill that can facilitate financial independence or assist in financially supporting their households. Participants, usually low-income women who are immigrants, refugees and other newcomers, also experience community and friendship, and have the opportunity to learn about supports and resources. Latino clients and non-clients meet at The Lighthouse to celebrate Christmas and the festivity of the season via songs, drama, testimony, story telling, family games and traditional food.